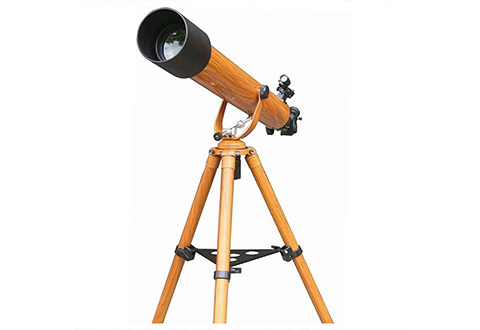 Bring the outdoors into your home with the Stargazing Photo and Video Telescope. 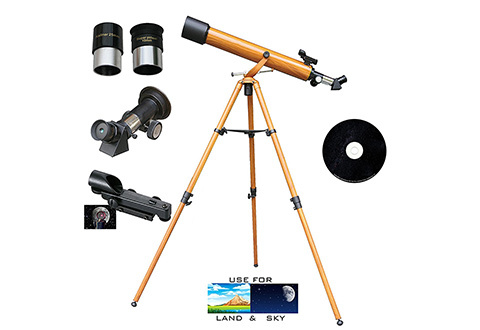 This handsome 32" telescope is ideal for day or night use, with a smartphone adapter that lets you shoot photos or videos with your device. 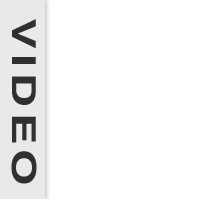 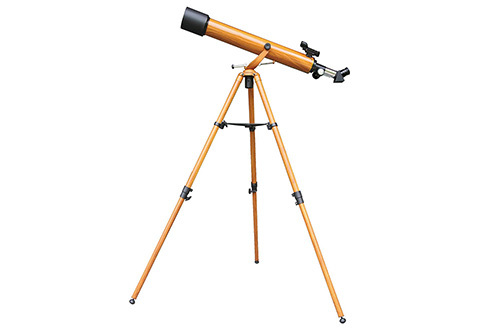 Or, use your smartphone along with your favorite astronomy app to help you line up stars and planets for easy viewing. 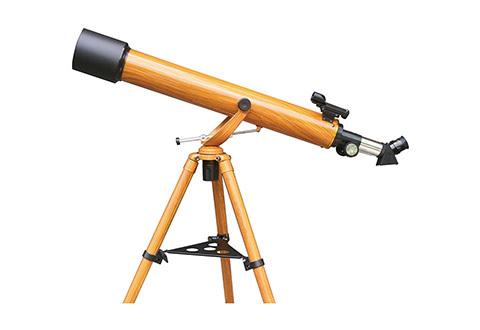 The telescope and the included metal tripod stand feature an elegant wood grain look. 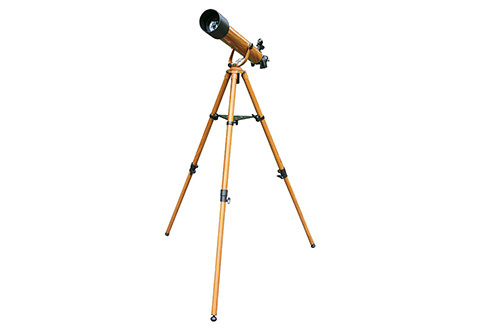 Ideal for beginners and casual stargazers. 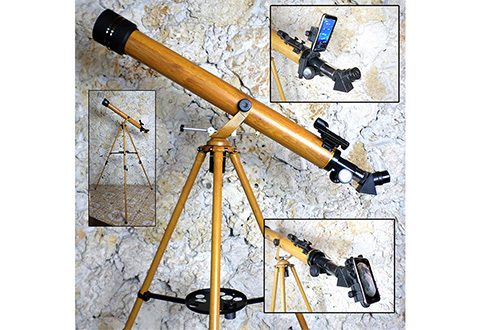 The Stargazing Photo and Video Telescope has an elegant wood grain appearance, plus an optional smartphone adapter that lets you shoot videos and photos of your subjects.